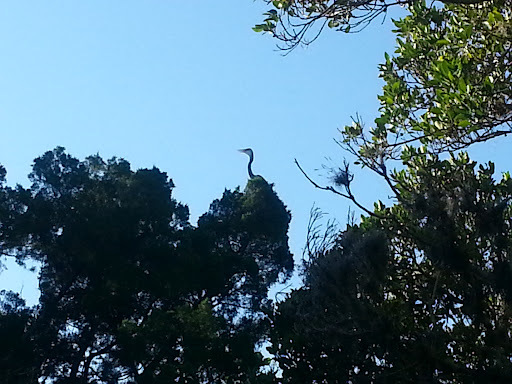 ﻿ If it’s a Great Blue Heron, I don’t think I’ve ever seen one in a tree before. You might not be able to see the scale of bigness here without something to compare it with, but take my word for it, this was a big bird. Lots of amazing things in Florida.